75 Bauang nonagerians receive the first PHP 5,000 as mandated by “The Bauang Nonagerian Ordinance of 2018” on March 22, 2019 at Jollibee, Bauang, La Union. This was approved by Sangguniang Bayan of Bauang, Ordinance No. 14, Series of 2018 that took effect last January 1, 2019. It granted Php 5,000 to every senior citizen of Bauang at 90 years and every year thereafter until he reaches the age of 99. When the elderly reaches 100 years old, another Php 30,000 will be given to them. This ordinance was the first of its kind and it is only Bauang LGU which has this program for the elderly entire the Philippines. 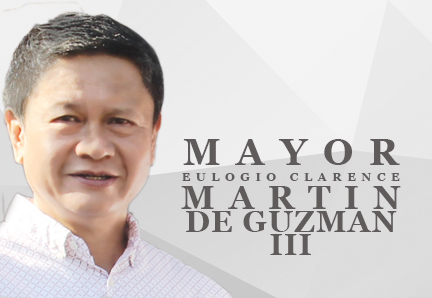 To give more meaning to the event, Mayor Eulogio Clarence Martin P. de Guzman III was present to inspire the elderly. “The pay-out day of your Php 5,000 has come. This is our birthday gift to all of you, my dear lolos and lolas who have reached the age of 90 years old till you reach 100 years old. It is a manifestation of our love and concern to all of you, our dear elderly,” the mayor said. He added that one of his priority program as a mayor is the social services for the elderly. He explained that together with the local officials of Bauang, they always think of ways of how to help improve the quality of life of these elderly. He informed the elderly that Bauang LGU entered into a memorandum of agreement with Ilocos Training Regional Medical Center (ITRMC) for an express lane for elderly’s free medical services like bone scanning, cataract operation and laboratory needs. “I love you all so much. I consider you all, my fathers and my mothers since I don’t have a father and a mother anymore,” he expressed emotionally. He told them that by June 30, 2019, he will step down from office and he will be leaving the financial coffers of Bauang intact. He said that may Bauang be blessed with new leaders this coming election on May 13 who will take care and love the elderly as much as he does. He announced to all the elderly and to the caregivers present that the economy of Bauang is thriving as proven by the Economic Index. He told them that Bauang is No. one in economic dynamism entire Region 1 and No. 36 entire the Philippines. With this economic situation in Bauang, he asked everyone to take care of all these resources of Bauang. SBM Alexander de Guzman Obong, committee chairman on Social services and Senior Citizens was present during the cash out event. The mayor with Obong spearheaded the drafting and passage of this ordinance at the Sangguniang Bayan. “I didn’t expect this ordinance to be passed and approved since there is a need of more than 2 million pesos to fund the program. But when I went to the budget, treasurer and other LGU offices, they said there is a budget for it. I am so happy about this good news for our elderly,” he said. 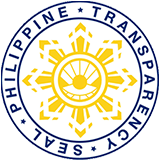 He disclosed that the Php 30,000 for the elderly at age 100 should not be divided but instead there will be an additional amount to be given to them thus the passage was approved. He told them that these leaders of Bauang bring services and not promises since promises are made to be broken. “Immediate action and services are what we can offer you. It is not based on age that we can serve but it is our love to serve. Today is a day of love. I believe that you, our elderly are the ones who taught us these values. Tell the good story of your lives to your grandchildren so they will not forget their values and principles in the midst of this technological advancement,” he explained. Lolit Pugal, 91 years of age from Barangay Central East was one of the recipients. “This program of Bauang LGU is a good project for the elderly. On behalf of my fellow elderly, I thank the mayor and other officials for remembering us. I will be using this amount to buy my medicines since I am suffering from many ailments,” she happily said. Liza Andres, president of Bauang Senior Citizens Association, Constante Ordoño, Vice president, Gina Barnachea, head of the Office of Senior Citizen (OSCA), barangay senior presidents of Bauang and OSCA staff attended the event.